Climate change activist Bill McKibben, co-founder of 350.org, and whistleblower Daniel Ellsberg, below, are headlining the Right Livelihood Conference that takes place May 15-17 at UC Santa Cruz. The campus was designated the first Right Livelihood College in North America in 2013, and this is the first time recipients of the "Alternative Nobel Prize" will gather for a North American Regional Conference. The conference will bring together U.S. and Canadian recipients of the Right Livelihood Award. Dubbed the "Alternative Nobel Prize," the award was established in 1980 "to honor and support courageous people and organizations offering visionary and exemplary solutions to the root causes of global problems." Presented annually in Stockholm, the annual award is usually shared by four recipients, or laureates, who are nominated through a process that is open to all. McKibben and Ellsberg will be joined by 15 other laureates for the first North American Regional Conference. It will take place at UC Santa Cruz, which in 2013 was designated the first Right Livelihood College in North America. • Laureates Daniel Ellsberg, author of The Doomsday Machine: Confessions of a Nuclear War Planner, and journalist Amy Goodman of Democracy Now! 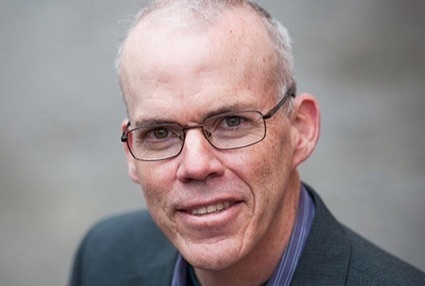 The conference is being supported by numerous campus units and organizations, including Kresge College and the Common Ground Center, as well as the Division of Social Sciences, which underwrote the Tuesday evening program with Bill McKibben and Sheila Watt-Cloutier. "Climate change is the most dire environmental challenge we face, with potential impacts and consequences for everyone and every ecosystem on the planet," said Katharyne Mitchell, dean of the Social Sciences Division. "This program was the perfect opportunity to kick off The Kamieniecki Lecture in Environmental Policy, endowed by my predecessor Sheldon Kamieniecki. We are delighted to support it." 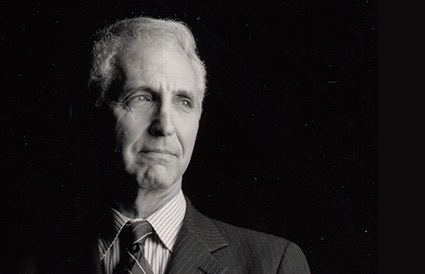 The Ellsberg event is part of the 2018 Conference of North American Right Livelihood Award Laureates and the Media and Society Series at Kresge College. Additional support for the conference came from the UCSC Foundation; UCSC Blum Center on Poverty, Social Enterprise and Participatory Governance; the UCSC Everett Program for Technology and Social Change; the Center for Agroecology and Sustainable Food Systems; University Relations; the Science and Justice Research Center; the UCSC Sustainability Office; the Environmental Studies Department; the UCSC Heller Chair in Agroecology; Rachel Carson College; and the Headley Chair for Integral Ecology and Environmental Justice.